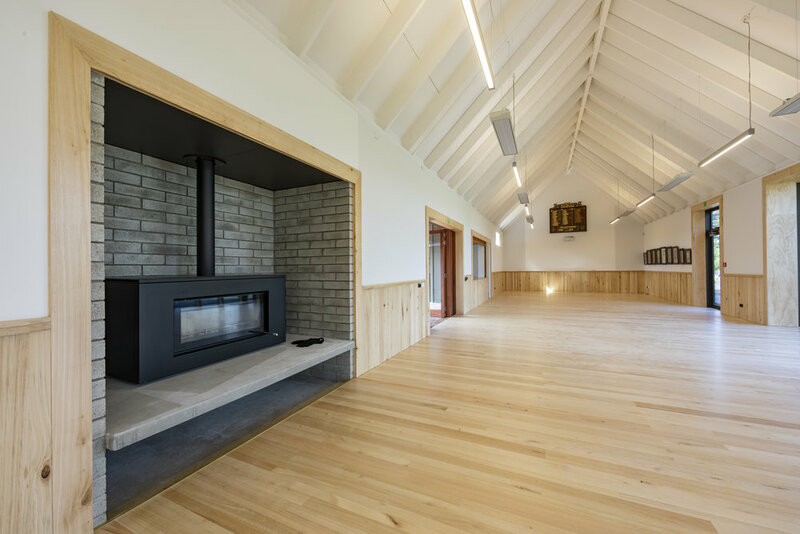 The hub of a small farming community near Lake Ellesmere in North Canterbury, the Lakeside Soldiers Memorial Hall was rebuilt in 2018 following a long project planning and fundraising process. The original 1917 hall, dedicated to commemorating the 14 Lakeside men who lost their lives in World War 1, was damaged beyond repair in the 2010 Christchurch earthquake. The new facility includes a multipurpose hall, courtyard and kitchen/bar, in readiness for yoga, martial arts, ballet and Zumba classes, as well as the community meetings, weddings and parties that have been taking place in the hall for the last 100 years. Inovo supported Selwyn District Council throughout the project, administering the Contract, managing the Contractor and liaising with the Community Group.